Desperately Seeking Adventure: The Sanlitun Weekender! With a full weekend on the cards I wanted to grab it with both hands and enjoy it as much as possible! Beijing life has been so intense, with not much down time I wanted to turn up and then some. Shopping, eating and getting up to something nasty good happened for sure, that Sanlitun Weekender served up all of the above! Yes BJ, Friday started with that Famous Grouse! Sanlitun in Beijing's Chaoyang District had me for the whole Saturday during my months crazy teacher training, beginning at Tai Koo Li for some serious shopping H&M had to be done. I had been neglecting my wardrobe since I had arrived in Beijing over eight months previous to that scorching July moment, it was like one hot mess after another fronted me! A few tipples the night before had left me feeling fragile but I knew I needed some new garments to wear during the nighttime, that's when things get real! A shiny glass development in the centre of Beijing's party district, I had been to Tai Koo Li before but those occasions just weren't fun enough! H&M had what I needed, I got some summer essentials and some statement black tops for my nights out because I love to dress in dark and mysterious tones at a certain Destination! Burning up my WeChat Pay it was a shock but my hard earned cash isn't just for buying flights, Bei! Taking my time round H&M and Tai Koo Li, it was evident the sunshine weather had brought a serving of delicious sights. Was I going crazy? No, Beijing is full of beautiful specimens so the rest I'll leave to the imagination. Imagination? No, what sights I saw definitely solidified the reason why I am still in China after almost three years! Sanlitun's glass structures glistened in the sunlight, the thirty something temperatures were hard to deal without air conditioning but the city of Beijing gave me life after a crazy and exhausting training course. The late afternoon summer vibe continued as I left with my purchases from H&M to my next port of call. Of course, H&M's patrons served Beijing chic and devilish good looks, I needed a drink after all of that thirsty behaviour! I really need to get out more of my work bubble, Shunyi and life gets me forgetting about things. KFC took me out of the glaring sun, I wanted to save my pennies for drinks that night! Would ninety pounds go that far at home? No, no! I am usually the first person to shun craft beer or any kind of hipsterish place, but has Beijing got me feeling some kind of way? Choosing 京A was a winner! Feeling like I needed a serious livener, I enjoyed a pint of Chinese craft beer known as 'Dong Bei', with a flowery kind of flavour it was just what I needed to get back into the drinking mode. For my tea I chose the BBQ braised burger with homemade fries, being one of those new-wave places it was served on a steel tray, if truth be told I was more interested in my food and beer to even give that even a second thought. 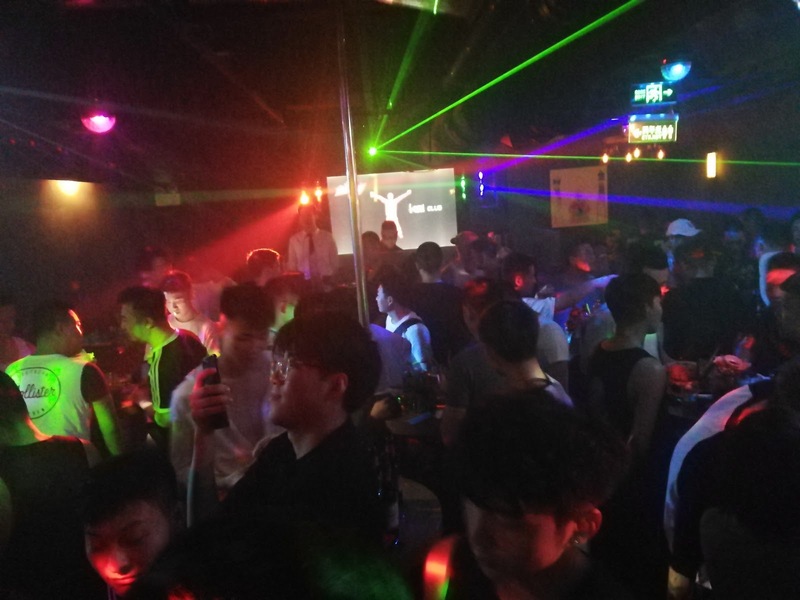 I had seen 京A posted all over Time Out Beijing and other local social media sources, being in the Sanlitun/Dongzhimen area it seemed like the done thing to get some hearty scran before getting inebriated within Sanlitun's lively scene. No rice or noodles were on the menu that day! Being 6.5% I toyed with the idea, so no more Dong Bei's were consumed! That Beijing beer house had a modern stainless steel feel to it, I chose to sit in the dining area amongst an exclusively Chinese crowd who posed as trendy millennial types, well some of them did but any sight of foreigners apart from myself were at the bar or in the first bar area. I definitely think I'll be back after a Tai Koo Li shopping trip again in the near future because it's only a short walkaway from the bustling Beijing streets that lead to my favourite Workers Stadium Road. Could I see myself propping myself up the bar there? No, but sitting at the bar with a few flowery pints sounds like a sure thing! Getting my food and drink finished I got a MoBike, riding along with my H&M purchases was a challenge but I am used to riding on the streets in China because there's a certain way to do it! Making my way back to Shunyi I had some getting ready to do! H&M got me my threads and the looks, yes the talent was sensational but 京A served me up the fuel for the night ahead of me! Yes, Sanlitun! Dressed to impress, my DiDi taxi left the sleepy suburban district of Shunyi for the bright lights of Workers Stadium Road in the heart of Beijing's party scene. Maybe my location was wrong because my usual drop off point wasn't what it should have been? Scanning another rental bike I swerved between the traffic and the rain whilst dressed in my fresh black vest and jeans combination! Clocking the road signs and noticing a familiar feel I locked that rental bike to walk the rest of the way. A friend had shown me Kai, another underground club that was filled to the brim with delectable gentlemen folk, no admission fee unlike Destination and cheaper drinks I was willing to give this basement club a chance to serve its delights to me. The month of July had me chained to a gruelling routine, those early mornings and long commutes melted away as I sipped my drinks, sipped? No, I don't know how to sip! My inner KIA was awoken, something that the faint hearted should not be exposed to, that side of me doesn't care and that suited the night well because Kai wasn't going to judge me that night and if other people wanted to, they would have had KIA to deal with! Dancing and drinking, the beverages and the tunes kept going till the early hours, Saturday merged into Sunday and with that time change I saw some negative energy fly away, I am not about that life. I needed a break from Destination because those queens get on a different level. I found the patrons in Kai thought I was #TeamTooMuch but I am totally fine with that because the week is for working, so when the weekend comes around I don't care! Throwing my last shape, finishing my last sip, it was time to find a taxi to take me back home before the sun made an appearance. Taxi ride completed and paid for, it fared to be another eventual full night in the city of Beijing. With funds low I'll be causing a commotion after payday! Birmingham: Somewhere That I Used To Know?